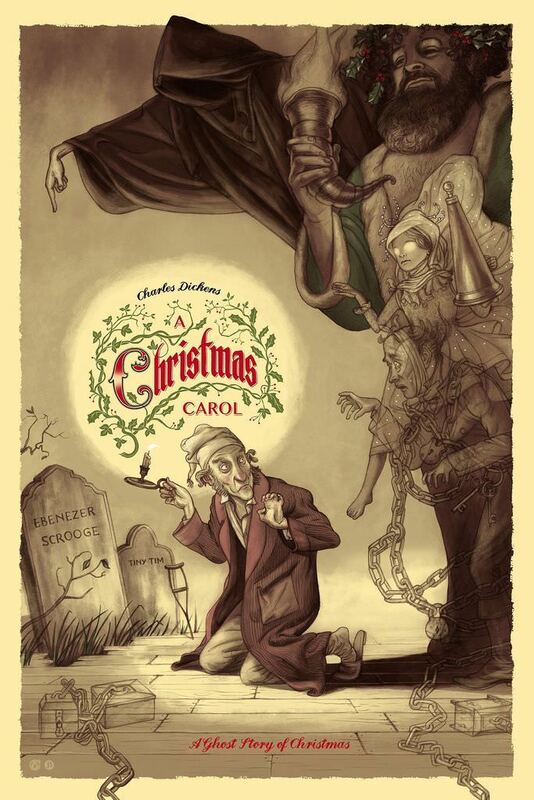 Jonathan Burton’s A Christmas Carol poster will be up later this week from Mad Duck Posters. The regular (tan) is a 24″ x 36″ screenprint, has an edition of 200, and costs. $65. The variant (white) is a 24″ x 36″ screenprint, has an edition of 100, and costs $85. These go up Wednesday, December 20th at 12PM EST. Visit MadDuckPosters.com.